Polka Dot Place is an exquisitely appointed venue. With its innovative design and meticulous attention to detail. 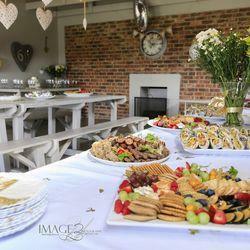 This venue will provide a stimulating yet authentic farm style facility, perfect for any one to relax while the party happens. We are not your typical party farm. We pride ourselves on our beautiful venue with a kitchen and bathrooms. 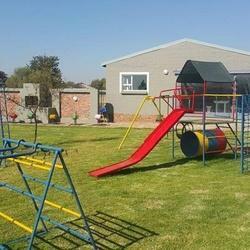 With rolling green lawns and play equipment all around your children are sure to have fun. 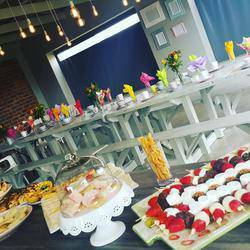 We also host baby showers, kitchen teas and celebration lunches where you can sit in the venue and see your kids play safely. The outdoor space is covered in lush green grass throughout. There is plenty of play equipment for all the children designed for ages 0-10 (but if the adults want to try their climbing skills we won't laugh!) All parents can relax and enjoy their event while the children play in a safe and secure environment. There is also a trampoline and a small oval bicycle track.